BATLEY BULLDOGS head coach John Kear is predicting a bright future for new signing Adam Gledhill. The former Super League prop or second-rower agreed a one-year deal with the club during mid-week and arrives following a stint in Australia with NRL giants Gold Coast Titans. Gledhill, a one-time Wakefield Trinity Wildcat under Kear, made countless reserve-grade appearances for the club Queensland club. And the Mount Pleasant chief believes he has captured a star of the future. “Adam is a particularly exciting signing, who could be pretty influential next year,” he said. “I liked the look of him at Wakefield, but he moved to Gold Coast when I came to Batley. “Working with him again will be fantastic and he will certainly add something to our pack. “When he left, I always knew he had the height, despite being a little slender. 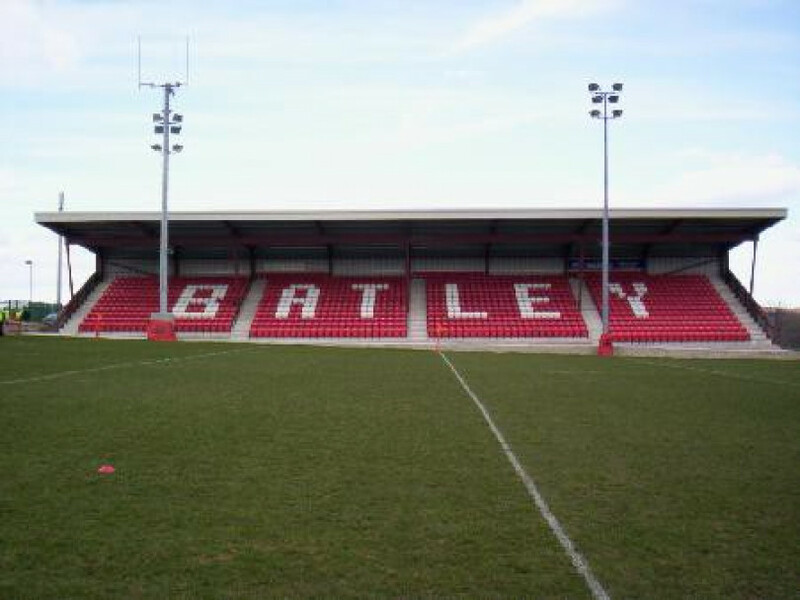 Gledhill becomes the club’s eighth new signing and is being described as a “major coup” by Batley officials. Though Kear admits he faces an uphill task in gelling what is effectively a brand-new squad together in time for the start of three 2014 campaign. The ex-England boss has seen 10 members of his Grand Final team depart in recent weeks and he has revealed how two of his current roster are being forced out of pre-season training, which starts next week. Star man Mark Applegarth and fellow back-rower John Davies are both recovering from respective shoulder surgeries, with the latter facing a lengthy lay-off. Davies could well miss the start of the new season, but Applegarth is expected to play some part before the end of January. However, Kear plans to hand trials to a trio of local amateur talents and is preparing for the arrival of up to six “hugely talented” dual-registered Huddersfield Giants. “I face a great challenge in cementing a new team together,” admitted the Bulldogs boss. “We lost a huge amount of talent at the end of last season, but I believe we have made some superb signings. “We are trialing three amateurs throughout pre-season training, all of which have been promised to feature in at least one trial game as part of their agreements with us. “And we will have six Huddersfield players with us too. All of those are going to be made available for selection too. “With all this in mind, I am obviously very happy to run with a 21- or 22-man squad next season. We will have strength and we will have it in numbers. “Expectations will be high, having got to a Grand Final, but if we get anywhere close next year I’ll consider it an incredible effort. “The squad we have in place as of today is exciting, yet somewhat unproven in some areas.